Pardee RAND was excited to welcome two visiting scholars in October, the co-founders of the Coalition of Immokolee Workers (CIW): MacArthur "genius grant" awardee Greg Asbed and long-time social justice lawyer Steve Hitov. 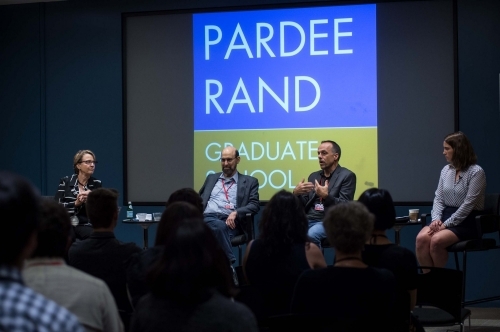 During their time at Pardee RAND, they and Prof. Kathryn Edwards participated in a panel discussion about community-led change and how the legal system can be used for — or may hinder — social change. The title of the talk was "How Do We Create and Lead Social Change? Perspectives on Law, Policy, and Social Justice in the U.S." Dean Susan Marquis moderated the well-attended event. 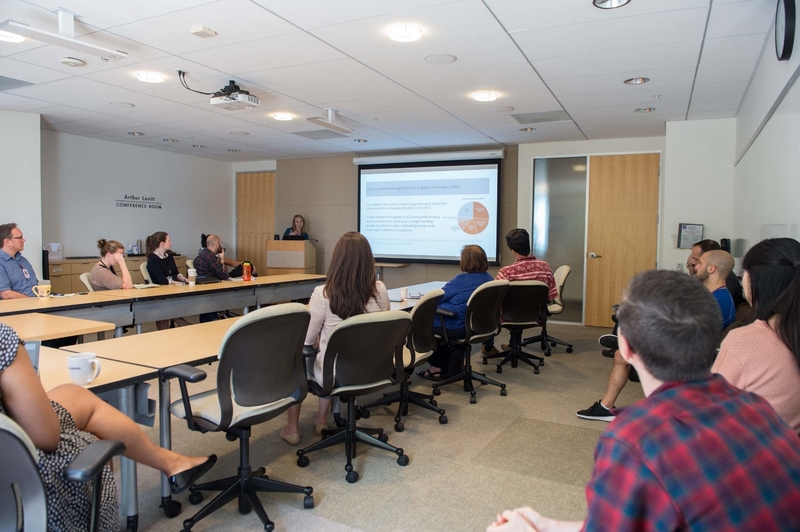 In the discussion, they delved into the nuts, bolts, and metrics for measuring successful social change, from the civil rights movement to anti-slavery efforts to human rights for farmworkers, janitors, and factory workers. Asbed and Hitov may be leaders in the field, but they are also analysts at heart. 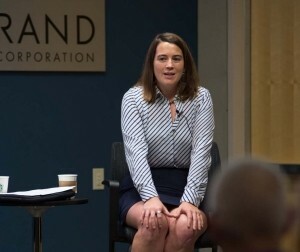 As part of the events welcoming Asbed and Hitov, Edwards also gave a talk of her own, "Legally Prohibited and Yet Persistent: Discrimination and Inequities in the Labor Market"; she led a roundtable discussion on areas where adopting a labor model like worker-driven social responsibility could make a difference. 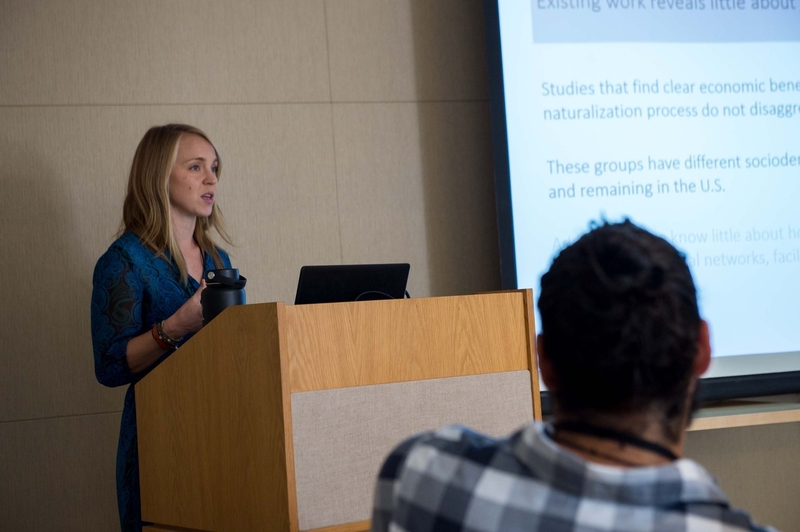 Additionally, student Ashley Muchow (cohort '13) gave a brown-bag talk on "Exploring the Role of Legal Status on the Labor Market Outcomes of Immigrants in Los Angeles," based on a paper she wrote with Prof. Robert Bozick. She and Bozick used a survey of households in Los Angeles County and determined that, whereas undocumented immigrants are largely penalized in the form of lower wages and rely on the informal labor market, like other immigrant groups, their earnings steadily improve the longer they reside in the U.S.